/ This vegan life / Trick or treat? These ones come from the nearby region of Emilia-Romagna and are big and beautiful. 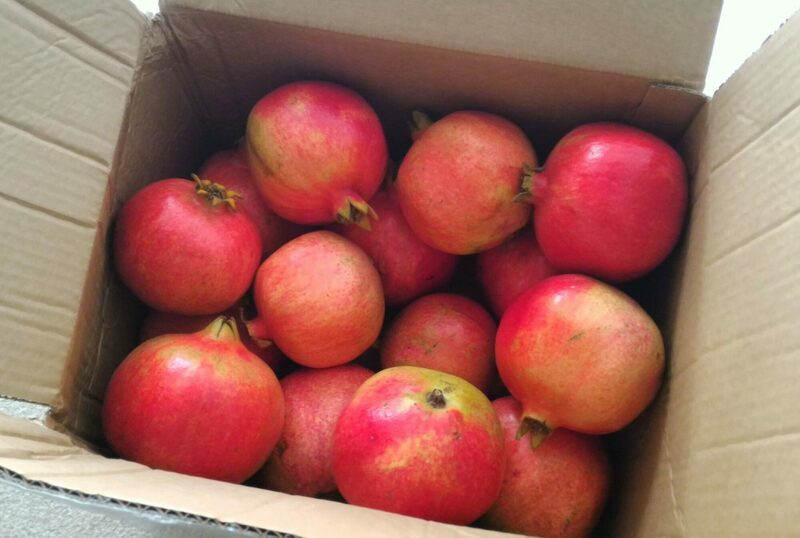 I like pomegranates when they are fully ripe, so they get sweet, still I don’t usually buy them too often, as they’re kind of tricky to open and that annoys me quite a bit. On monday I went to a fair in Padova and I let a lady convince me to try this new tool in the picture on hereby. I ended up buying it and I must say I’m happy I did. 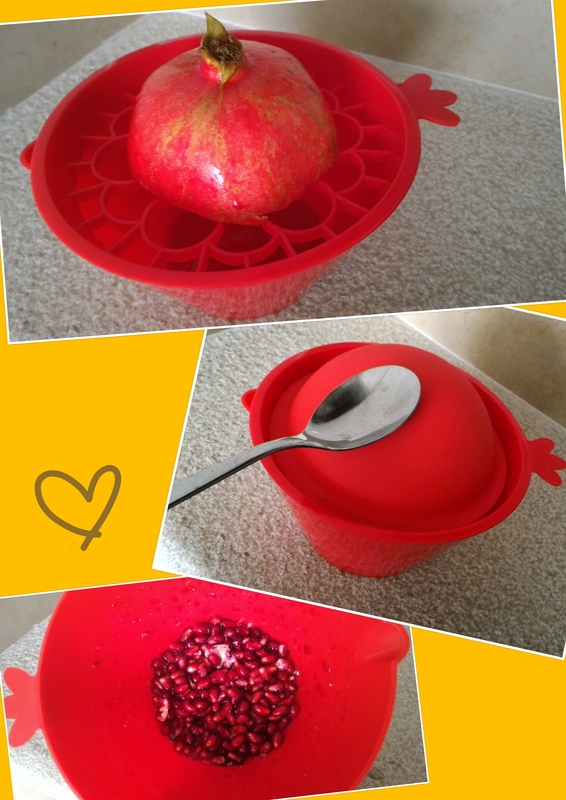 Very easy to use, all it takes is j ust placing half a pomegranate on the grid, cover it with the lid, hit it with a spoon several times and eventually all grains will fall down. It certainly takes me less time and it definitely saves me from my main concern: the splashes I’d usually find everywhere in kitchen!